Sturdy three wheeler cricket bag with massive capacity. 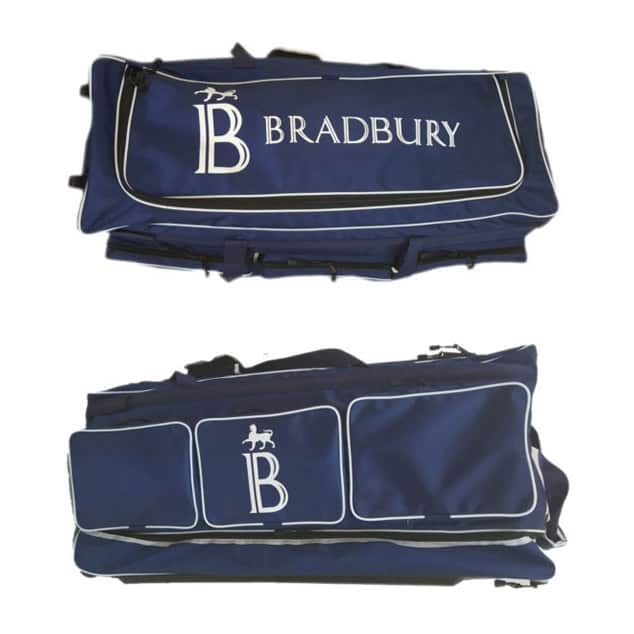 Three external pockets, internal shoe bag, padded dual bat sleeves within separate compartment that opens flat. Protective fibreglass mesh tape that fits over the face and edges to provide superior protection. In store only, free fitting.